Please join us as a Sponsor for the May 7, 2019, from 6:00 to 8:30 p.m., Cahn Collaborative Reception at the Inn at Swarthmore as we honor Edgar Cahn and youth court across Pennsylvania and beyond. 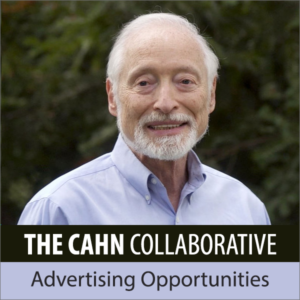 The Cahn Collaborative is a loosely organized group of programs and individuals intended to both honor and perpetuate the life work of Edgar Cahn. Partners include Swarthmore College, the Widener Delaware Law School, the Pennsylvania Council for the Social Studies, the Pennsylvania Bar Association, youth court programs in schools around the region and more. The Cahn Collaborative is a multi- sector partnership between law firms, legal entities, K-12 educational institutions, community groups, law schools and higher education institutions, and philanthropy to memorialize the social justice activities of Edgar Cahn and to ensure they continue to be utilized to assist disadvantaged populations. Preserving his ideas and work is very important if disadvantaged populations are to successfully advance their lives.